National Socialism Slouching Towards America? I can’t say for sure if we’re headed for the kind of National Socialism that the Third Reich adopted in the 1930’s. It’s kind of eerie, however, that what started last week in the financial sector distantly resembled the events that preceded the Great Depression. 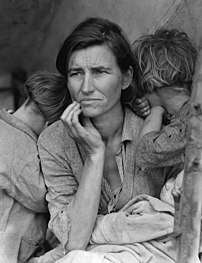 The rise of Fascist dictatorships in the 1920s and 1930s saddled the Great Depression. Although global events are different, there are patterns we aught to recognize. We are in a Twilight Zone. For too long speculative investing was permitted to go unchecked. I believe strongly in free markets, democracy and capitalism. I also understand the problem of what economists refer to as market externalities. Times like these are dangerous not so much because of market swings, foreclosures and bailouts as much as the psychological impact these convergences have on a public’s mind. During times of crises, it’s natural for people to seek out scapegoats when they can’t find solutions or ways to remain calm. So it’s with some concern that in the confusion, anxiety and possible panic we could find ourselves mired in a dangerous cultural upheaval. We can’t necessarily avoid political, economic and cultural tsunamis. Sometimes when your country loses its sense of direction, you need to focus on what you can do to preserve your own sanity. I wish that I could offer more specifics. What I can say is: think about the issues that matter most to you and our country. We have an election coming up in less than two months. Regardless of who wins, don’t despair if your candidate loses. There’s more to our political future than one election. However you vote, vote with consideration of what matters. Personalities come and go. Actions ripple forever. With the specter of terrorism looming, with wars between industrial nations becoming more likely and with national economies entering dangerous times, it’s easy for nations to resort to the comfort of false gods. If America deepens its journey into the darkness of national socialism, this century will be uglier than the last. NEVER give Fascists an even break. Not a single one. The death of the free market? America at the Crossroads. Again. Next Post → Healthcare Has No Shortage of Blogging Content!